BIC® is the world’s leading manufacturer of lighters. But with great market share comes great responsibility. BIC not only produces a high-quality, child-resistant product, it invests heavily in fire prevention and safety education. In an effort to increase access to important educational materials, we helped BIC develop and launch “Flick it Safely™,” a public awareness initiative aimed at customers, families and educators. 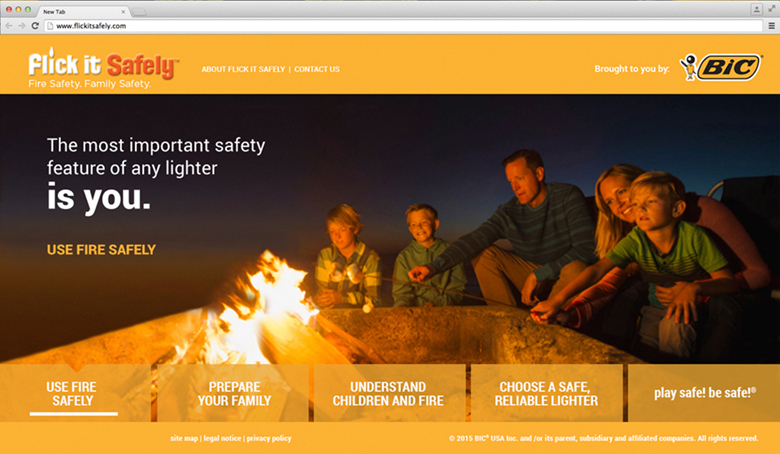 The campaign includes PSA-style advertising, extensive public relations and a robust website offering invaluable safety tips for using fire safely, preventing accidents and teaching children to be safe around fire.